For many visitors, Shepard Park is the heart of Lake George Village. People gather together at the park each year for outdoor concerts at the amphitheatre, fireworks over the lake, and even more great entertainment. Considered a local hotspot, Shepard Park transformed from a dream into a reality in the early 20th century thanks to the goal of one man - Edward Morse Shepard - whose actions would have a lasting impact in Lake George. Who Was Edward Morse Shepard? 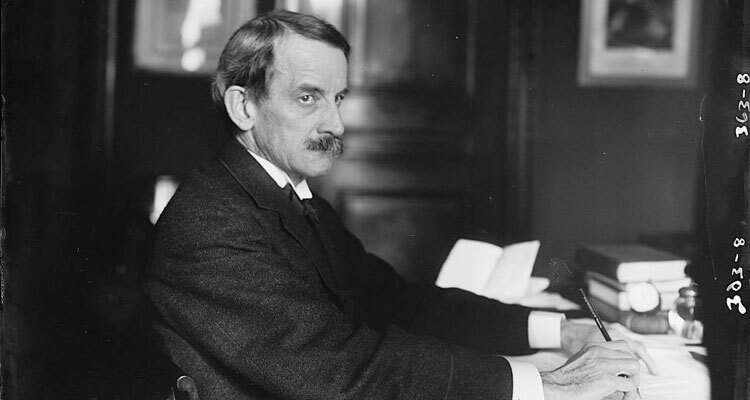 According to his obituary in a 1911 issue of The New York Times, Edward Morse Shepard was born in New York City in 1850. His father, Lorenzo B. Shepard, was a brilliant U.S. District Attorney for the state. Although Lorenzo passed away when Edward was 6 years old, he would have a long-lasting impact on Edward's future career in politics. At age 13, Shepard visited the Lake George Region for the first time and became enamored. Even as he grew older and busier in life, the site would remain in his memory. In 1869, Shepard graduated from City College of New York and dedicated himself toward obtaining a law degree; a few years later in 1875, he was admitted to the bar. Just like his father, he worked as a New York State attorney and was an influential political figure for many years. Thanks to his successful career in the city, Shepard was soon wealthy enough to move forward with one of his planned projects - a grand summer home on the western shore of Lake George. Situated along "Millionaires' Row," an area featuring other expensive lakeside homes, the new Inn at Erlowest was completed in 1898. 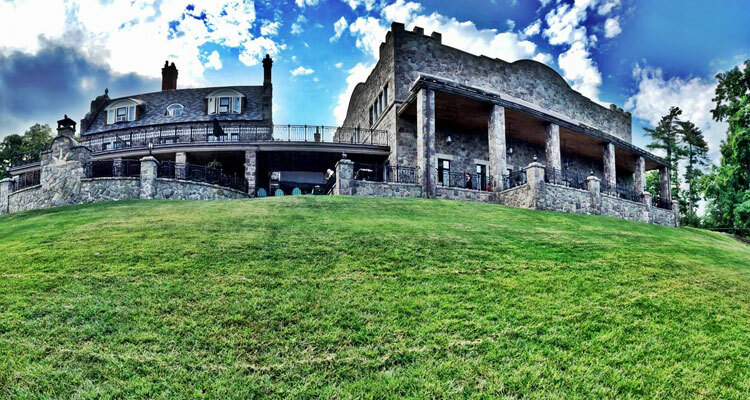 As described by the Inn at Erlowest's website, the name of the stone mansion was inspired by the hometown of Shepard's parents, Westerlo. Upon its completion, Erlowest was used as a summer home by Shepard and a place where he would entertain many influential guests, including banker/philanthropist George Foster Peabody and Spencer & Katrina Trask. Both Peabody and the Trask Family would soon purchase their own summer homes on the lake. In a February 2016 article by the Adirondack Almanack, it was noted that one of the building's most characteristic features is the symbol of Alpha Delti Phi from Shepard's City College fraternity; a carving of the fraternity's shield is located above the entrance and visible in the stained glass windows. Edward Morse Shepard never married, but in the years leading up to his passing, he continued to play a role in politics and the community. In fact, in 1910, he was encouraged by Lake George residents to purchase the property of the former Lake House hotel in the heart of Lake George Village, which had been demolished in 1906. Rather than rebuild the hotel, Shepard envisioned a public park that would be accessible to everyone. Although he passed away due to pneumonia at Erlowest in 1911, Shepard's friends sought to move forward with his grand park project. Led by the project's two largest donors, Peabody and the Trask Family, fundraising to purchase the property and then transform it into a park was soon underway in Lake George. In 1912, the Lake George community hosted Pageant Week to attract visitors to the area, as well as other fundraisers. The Lake George Examiner wrote in a February 2017 article that in October 1912, around $11,200 had been raised. $10,000 was spent to buy the former Lake House hotel property, and then the rest went toward developing the park. By September 1917, an Open-Air Forum (outdoor stage) was added, and two Grecian columns were built on either side. On one of the columns read "In memory of Edward M. Shepard," and the park became known as Shepard Park. The Open-Air Forum remained until the mid 1950s when it began to deteriorate. After it was removed, the park stayed open to the public, and it wasn't until 1990 that the current amphitheatre was constructed thanks to private donations. Some of the other modern features include the MacDonald Pier at Shepard Park Beach and the Centennial Fountain by the street entrance. 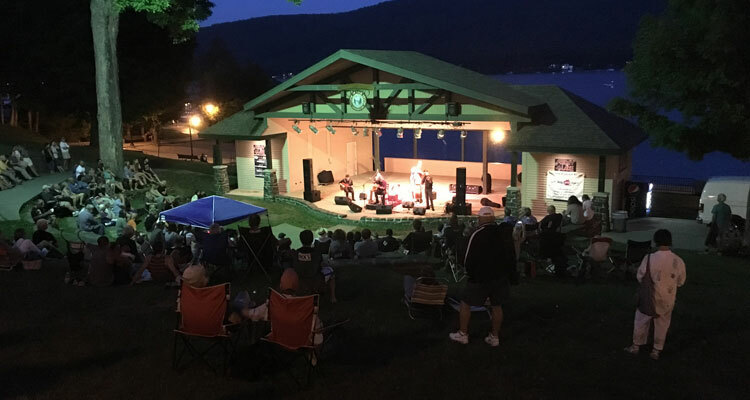 During the 2016 Lite Up the Village event in Lake George, the village mayor announced plans for a fundraising project to pay for improvements at Shepard Park, including upgrades on the stage and better seating. By June 2017, as a result of multiple local fundraisers and donations, the village had received enough funds to move forward with the park improvement project. Today, Shepard Park is a place where people from all over visit and can feel like a part of the community.